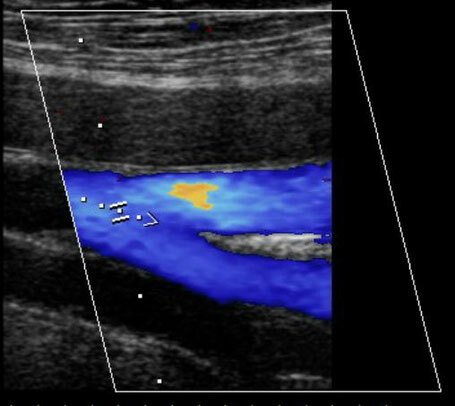 Vascular ultrasound is used to evaluate the flow and plaque in the arteries in the extremities and to the organs of the body. The vascular exam is one of the most dynamic of all of the ultrasound exams. The accuracy of the test is completely dependent on the sonographer. Vascular exams include: carotid and vertebral artery duplex, upper and lower arterial and venous duplex, abdominal aorta duplex, renal artery duplex, mesenteric artery duplex, venous reflux examination, bypass graft and dialysis graft surveillance and physiologic testing of the extremities. Vascular exams are generally pain free and like all other ultrasound examination are not harmful as they use sound waves and not radiation.